Ask anyone about the benefits of technology and it probably won't take them long to rhyme off a list of examples: it helps broaden your knowledge, connect with friends, both new and old, and allows you to see things you've never seen before. But what about the drawbacks? Here's a major one: increased screen time is hard on your eyes. Let's take the example of Pauline —although she could just as easily be a David or a Jason. She is 10 years old and a studious child, doing well in school. Like any young person her age, she loves to use her tablet computer to study or have fun. She's on it two hours a day, plus weekends. Pauline may be in for a change, however. 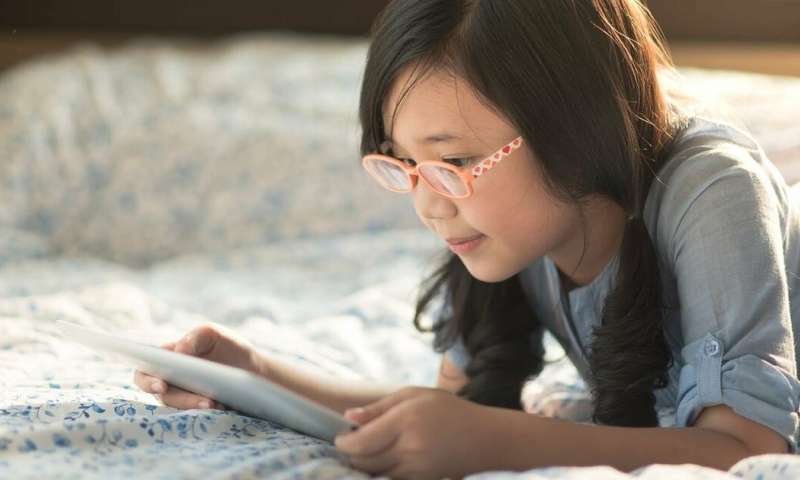 She has recently been diagnosed with nearsightedness and her optometrist has strongly recommended that she —and her parents —limit her use of electronic devices and spend more time playing outside. Pauline isn't happy. She thinks it's not fair. This suggests there is a real public health issue facing us —and not just the common problem of an error in the refraction of the eye which shows up as blurred vision when looking into the distance. Ultimately, the very nearsighted patient has a more than 50 per cent risk of spending the rest of his or her life legally blind —in other words living with vision reduced by 60 per cent. This means that the length of their eye exceeds 28 mm (the normal length is 23 mm) or that the myopia levels exceeds six diopters. (Diopters is a unit of measurement used to calculate eyesight —the further away from zero indicates a worsening in vision.) It is important to intervene before this happens to avoid these levels. There are many causes of onset myopia. Genetics plays an important role but epigenetics —the environment in which the child evolves —is a more important factor. Today's young people don't play outside as much as their predecessors and are heavy users of electronics. However, exposure to daylight has a protective effect against myopia. These beneficial effects are decreased, but not negligible, during less sunny months or when myopia is already present. Therefore, using any electronic media before the age of two should be avoided, even if it's only for a few minutes. A limit of one hour per day should be the rule for those between two and five years of age and the emphasis should be put on educational sites or applications that promote interactions between the parent and child. Finally, optical correction must be chosen with the goal of slowing down the progression. In rare cases, glasses with anti-myopia lenses may be prescribed. They provide a deceleration rate of about 30 per cent . Specialized contact lenses are often preferred and offer control ranging from 50 per cent to 80 per cent. The contact lens treatment is available from the age of seven, and will be periodically reassessed according to the child's changing needs. In short, myopia is not just a commonplace vision defect. It is a significant risk factor for serious eye disease. We must therefore do everything possible to slow its progress and protect our children's vision —and that means also reviewing their relationship with electronic devices. Are our schools damaging children's eyes?